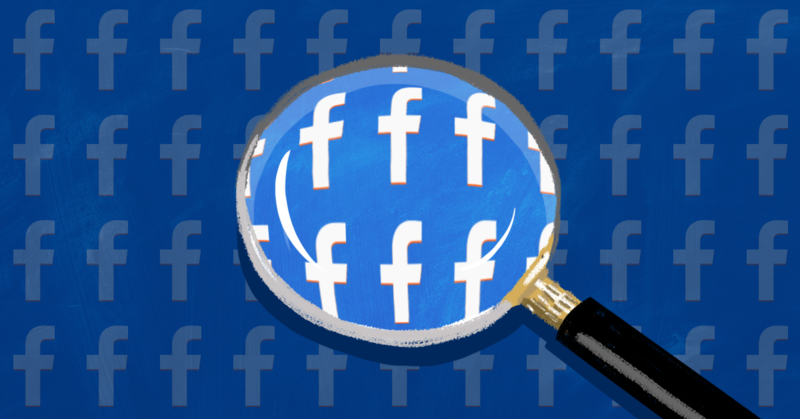 Blog ››› April 3, 2019 4:27 PM EDT ››› CRISTINA LóPEZ G.
In the inaugural week of its enforcement, Facebook’s new policy against white supremacy and white separatism is already proving to be hollow, as evidenced by the platform’s claim that a video in which a white supremacist fearmongers about immigrants “replacing” white people is not a violation. On March 27, Facebook announced that beginning this week it would “not tolerate praise or support for white nationalism and white separatism.” Further reporting clarified that the platform’s ban would focus narrowly on content featuring “explicit” praise or support of white supremacy or separatism, suggesting that content featuring the implicit, coded ways in which white supremacy maligns, criminalizes, and erases people of color and immigrants would remain available on the site. Media Matters compiled a noncomprehensive list of pages that do exactly that, sharing examples of posts that displayed extremist messages. 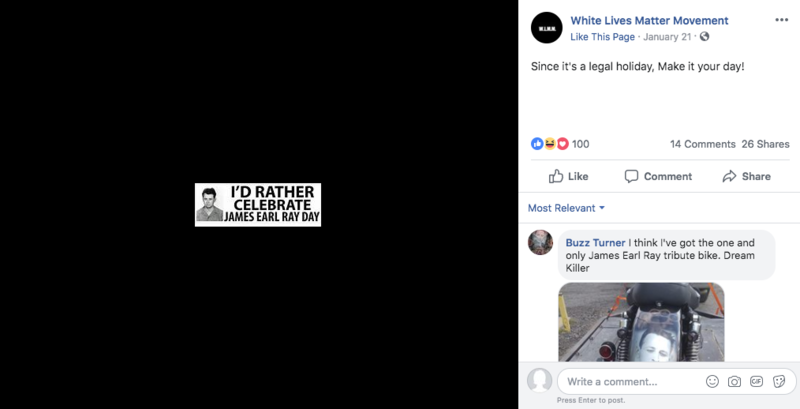 We also included the personal pages of prominent white supremacists who, despite not calling themselves white supremacists or white separatists explicitly on the site, use Facebook to promote white supremacist messages. Out of 28 pages listed, only two are now unavailable following Facebook’s enforcement of the policy: a page called The Alt-Right and a racist meme page called Saltine Social Club (Facebook does not specify why these pages are now unavailable). Out of the 15 pages for white supremacist personalities or brands we listed, only former Klu Klux Klan leader David Duke’s is unavailable as of this writing. The pages that seemingly were deemed not explicit enough to violate Facebook’s new policy include claims that “multiculturalism is genocide,” criticism of race mixing, and celebration of Martin Luther King Jr.’s killer. Facebook’s hesitance to enforce its own policies on content like Goldy’s demonstrates that the platform will hide behind a narrow focus on literal wording to skirt its responsibility to users maligned and oppressed by extremist rhetoric. The narrow scope of enforcement also raises the question of whether Facebook leadership is familiar with the ways in which white supremacists operate on digital platforms -- hiding behind layers of irony, using vague wording and appropriating harmless symbols to uphold plausible deniability, and pushing “shitposting,” or the inside joke-laden, coded language that speaks of old racism in new ways. If so, then it seems the site’s leaders are simply unwilling to anger white supremacists and isolate the customer base of users who crave their content. The question shouldn’t be whether Facebook’s policy of banning white supremacy and white separatism is a good or a bad decision, but whether it's effective. And in its current literalist interpretation which takes white supremacists at their word and ignores the voices of those oppressed by their messaging, it's simply not.